The Championship's joint-leakiest defence kept Norwich at bay as Fulham continued their encouraging form under Kit Symons with a home victory. The only goal of the game came on the counter-attack with midfielder Sean Kavanagh firing home a low finish. Norwich's Cameron Jerome was pulled back by Dan Burn after the break but Lewis Grabban's penalty hit the bar. Josh Murphy also struck the woodwork as Norwich pressed, but Fulham held on to record their third win of the season. Norwich had won their last four Championship away games but started slowly, and failed to force a single meaningful save from Fulham goalkeeper Marcus Bettinelli in the first period. 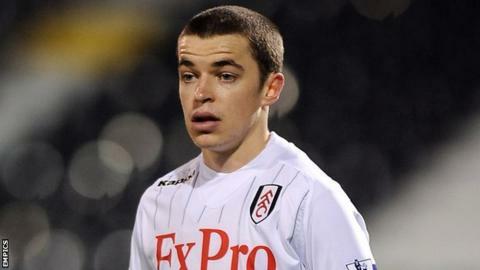 And some sloppy passing on the half-way line was punished as Lasse Vigen Christensen teed up Kavanagh to score his first goal for Fulham from the edge of the box. Burn nearly doubled the home side's lead, but his header from a Bryan Ruiz corner was cleared off the line by Wes Hoolahan. Immediately after half-time, Burn was adjudged by the linesman to have fouled Jerome, but Grabban spurned his second spot-kick of the season, smashing the underside of the bar. Fulham substitute Moussa Dembele then shot straight at John Ruddy before Norwich dominated the closing stages. With 10 minutes left, substitute Murphy cut inside from the left and hit a curling shot against the crossbar, but although the Canaries piled on the pressure, the ball did not drop kindly for them in the box as Fulham's defence stood firm. Fulham caretaker manager Kit Symons: "It was a display full of character which I was delighted with. All the time I'm in situ in this position I'll just keep doing what I do. That's working as hard as I can on the training pitch and trying to win games for this great football club. "I'm pretty sure three points as often as possible is not going to hurt my chances. I'll just keep plugging away." Norwich manager Neil Adams: "We're not picking up victories and that's the concern for me. We had 63 per cent possession which is massive away from home but in terms of creating genuine goal scoring opportunities, that didn't materialise. "In terms of the performance and the way we're dominating the ball, it's fine." Match ends, Fulham 1, Norwich City 0. Second Half ends, Fulham 1, Norwich City 0. Foul by Elsad Zverotic (Fulham). Attempt missed. Michael Turner (Norwich City) header from the centre of the box misses to the left. Assisted by Nathan Redmond with a cross following a set piece situation. Konstantinos Stafylidis (Fulham) is shown the yellow card for a bad foul. Foul by Konstantinos Stafylidis (Fulham). Scott Parker (Fulham) is shown the yellow card for a bad foul. Gary Hooper (Norwich City) wins a free kick on the right wing. Foul by Scott Parker (Fulham). Foul by Bradley Johnson (Norwich City). Corner, Norwich City. Conceded by Konstantinos Stafylidis. Nathan Redmond (Norwich City) wins a free kick in the defensive half. Foul by Lasse Vigen Christensen (Fulham). Attempt blocked. Moussa Dembele (Fulham) right footed shot from outside the box is blocked. Assisted by Scott Parker. Corner, Norwich City. Conceded by Nikolay Bodurov. Attempt missed. Martin Olsson (Norwich City) left footed shot from outside the box misses to the right following a corner. Josh Murphy (Norwich City) hits the bar with a right footed shot from outside the box. Assisted by Bradley Johnson. Alexander Tettey (Norwich City) wins a free kick in the defensive half. Corner, Fulham. Conceded by Nathan Redmond. Attempt missed. Hugo Rodallega (Fulham) header from the centre of the box misses to the left. Assisted by Ross McCormack with a cross following a corner. Attempt saved. Moussa Dembele (Fulham) right footed shot from the centre of the box is saved in the centre of the goal. Assisted by Hugo Rodallega. Corner, Fulham. Conceded by Russell Martin. Substitution, Fulham. Moussa Dembele replaces Bryan Ruiz. Attempt missed. Bradley Johnson (Norwich City) left footed shot from outside the box is close, but misses to the right. Assisted by Nathan Redmond. Corner, Norwich City. Conceded by Dan Burn. Offside, Norwich City. Russell Martin tries a through ball, but Cameron Jerome is caught offside. Substitution, Norwich City. Gary Hooper replaces Lewis Grabban. Foul by Steven Whittaker (Norwich City). Konstantinos Stafylidis (Fulham) wins a free kick on the left wing.